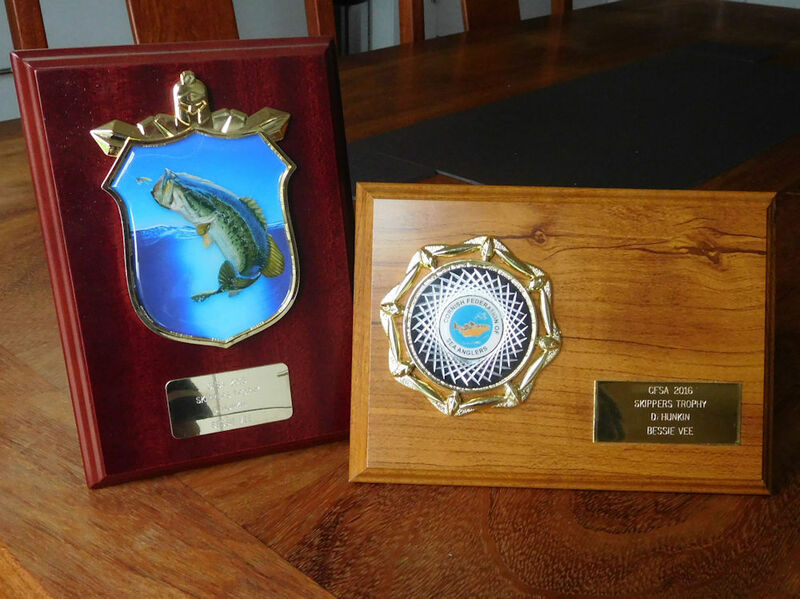 Skipper Dave Hunkin is a competent and experienced Yachtmaster Certificate holder, being a third generation sea angling skipper and having operated commercial and angling boats out of Mevagissey for over 30 years. Use the links above to find out more about angling, sharking, sightseeing, team building or filming trips, or call us on 01726 871074 to tell us of your requirements. Dave caught an 18lb 13oz coalfish, aged 7! 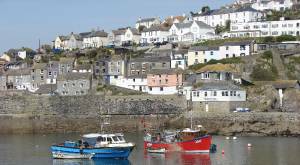 The quaint village of Mevagissey nestles on the cliffs surrounding its two picturesque harbours, and is steeped in maritime history. Though it was once a thriving fishing centre, and still has a small commercial fleet which uses its safe harbour as a base, tourism is now its chief industry, attracting visitors from far and wide to appreciate its unique beauty. The nearby villages of Portmellon, Pentewan and Charlestown also have their individual charm - Portmellon and Pentewan being known for their water sport activities (including gig racing), and Charlestown for its famous Square Rig sailing boats and ancient harbour - lately a location for the new Poldark series. 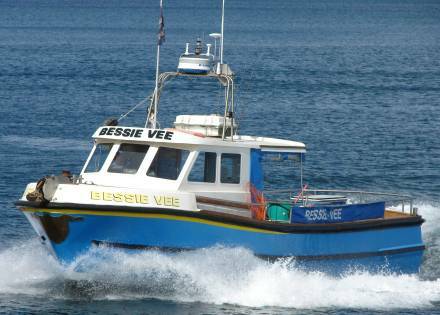 All in all, Mevagissey is an idyllic place to start and end your day's adventure on the Bessie Vee!